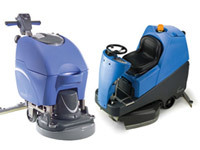 What is the purpose of the TTB-1840 Floor Scrubber? 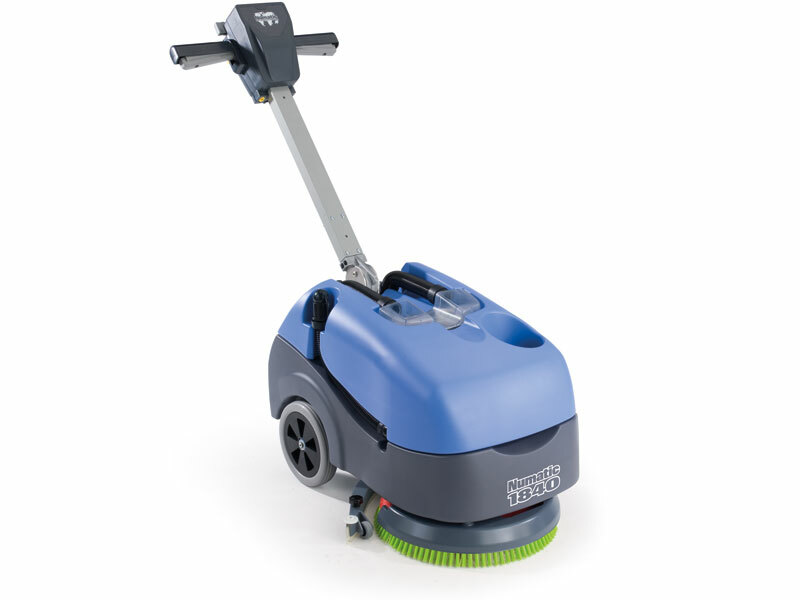 The Twintec 1840 Floor Scrubber is a small battery-operated powerhouse of a floor cleaner. It operates cable-free, getting into places that other machines cannot reach. 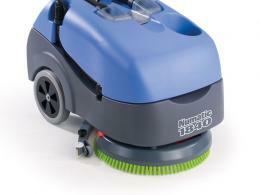 The TT-1840 cleans hard floors 30% faster and leaves them cleaner than mopping machines. 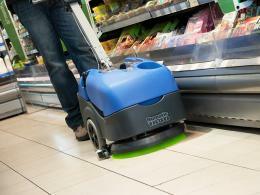 Its low noise level makes it a great floor scrubber for a wide variety of environments. Its reliable technology is built with many of the components of the mains cable machines, but it has been outfitted for cable-free battery operation. The suitcase style battery is an 18 amp battery pack that is sealed and runs for .75 hours. With a second battery, the cleaning time can be expanded to 1.5 hours. A separate charger is standard equipment for recharging the batteries. The environmentally friendly gel battery charges in under 5 hours, and can be charged anywhere. The TTB-1840 has a 5-gallon tank and a squeegee that pivots. Its 300-watt vacuum motor facilitates dirty water recovery. The water recovery tank is equipped with a drain so that it need not be lifted out of the machine to empty it. The operator has access at all times to information about the water, vacuum and battery status via a handy control panel. The TTB-1840 is very portable – it even fits in the trunk of an automobile. Due to its portability, the TTB-1840 can be used by janitorial crews, in-house janitorial services, churches, and even the cleaning staff for larger homes. We offer our 1-year parts and labour warranty on this excellent floor scrubber.